Think not only of the gas emissions we’d be eliminating if we stayed put in our home offices, but also all the time that could be used more productively. Even if you don't believe in global warming, there's no question that our climate is changing. Whether it's back-to-back category 4 & 5 hurricanes in the Central and Southeast parts of the U.S., increasingly dangerous seismic activity in Mexico, or fires raging across the Pacific Coast, our planet is in flux. We as individuals need to do a better job taking care of this world, and one of the ways we can do this is by working with our employers to help facilitate this. Why? Because one really simple fix would be to lower the carbon footprint created by commuting. Most of us get in a car and drive to work several days a week. And that act alone has a negative impact on our climate. Do we really need to drive to the office each day? I posted an article on LinkedIn about IBM's decision to eliminate remote working last year. Based on the number of passionate comments on my post, you'd think I had addressed politics (I didn't). And yet, when I think about IBM's decision and how it pertains to climate change, I'm scratching my head now more than ever. I've been in the video collaboration industry for a long time, and I remember the days when we touted that video could replace airline travel. It can, but sometimes you need to be somewhere in-person. The bigger benefit of video conferencing is that it can and should replace a phone call to a colleague, a conference call, or a quick trip across town -- or even just across your corporate campus. And in some cases, it can and should replace your daily commute. Think not only of the gas emissions we'd be eliminating if we stayed put in our home offices, but also all the time that could be used more productively. We spend countless hours making short trips around town or sitting in traffic-filled, stress-inducing commutes. And each time we get in our cars, we're contributing to the greenhouse gas problem. 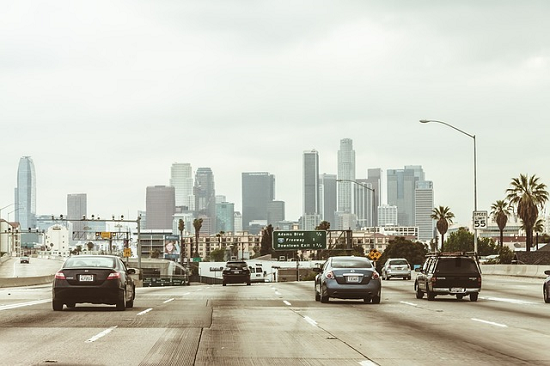 Automobiles are a significant contributor to greenhouse gas emissions in the U.S. And while many people assume aviation is a major culprit, according the U.S. Environmental Protection Agency, "the number of vehicle miles traveled (VMT) by light-duty motor vehicles (passenger cars and light-duty trucks) increased by approximately 45% from 1990 to 2016." That's a lot! And while air travel is also up, only a small percentage of the population flies regularly, and only a small percentage of the overall carbon emissions is from planes. But almost all of us drive our cars from here to there nearly every day. As such, the increase in carbon emissions is coming in large part from our daily commutes -- not from business travelers but from people who never even set foot on a plane. Every single one of us emits greenhouse gases every single time we start our cars. And idling in traffic is one of the biggest culprits. Did you know that, according to Environmental Defense Fund, idling your vehicle for just 10 seconds wastes more gas than starting the engine? While electric cars are a big improvement and emit less carbon than gas vehicles, they still pollute the air with carbon; it just comes from the powerplant instead of the tailpipe (yes, in the future we will power electric cars with solar and wind, but we are not even close to that future). I realize that not all jobs can be remote and not all workers want to work remotely. But as things stand today, according to a variety of sources, more than 85% of U.S. workers commute to their jobs, and there are 150 million of us in the U.S. workforce. That means 127.5 million of us are contributing to the climate problem. Even if only one-third of these workers (42 million) worked from home, we could save 210 million tonnes of carbon emissions each year -- and that's just within the United States. Imagine the impact of a global initiative to work remotely. I'm not advocating we all stop going into offices, rather that we just stay home some of the time, even if it's just one or two days a week, like a Friday or a day when you have things to do near your home. This can be even more valuable in emerging markets. One of my colleagues recently went on a business trip to India. His excitement to meet potential partners and customer was tempered by spending hours a day in crawling traffic (ironically to talk about video conferencing). What if they could do some of their meetings in person and others over video, avoiding gridlocked trips across New Delhi and making the day's sales calls much more productive? With traffic patterns even worse in most developing countries, the impact on the environment (not to mention productivity) of staying at home can be even greater than more developed ones. I firmly believe that for most corporate jobs, remote work should be an option. With the right culture, tools and technologies in place, it's really a no-brainer. And sure, I work for a company that offers video collaboration tools, so it may seem self-interested to promote video as the solution to climate change. But think about it. In the next 10 years, there are projected to be nearly 8.5 billion people on the planet. If on any given day up to 1 billion people could avoid car commutes and work from home, the impact would be far-reaching -- not only in carbon emissions (could be as much as 1-2% of total carbon emissions per year!) but also in productivity and cost savings as a whole. There's another trend happening that might also help drive us to do less driving. Upwork released its "Freelancing in America 2017" report, showing that freelance work is growing at a rate of three times the traditional workforce. I find this promising because I think freelancing inherently leads to fewer commuters on the road, and every little bit counts. For now, I challenge you to do your part. Wage war on your commute. You'll save time and do our planet a favor. Each of us can make a difference if we want, and if our employers support that change, the difference we make will be that much greater.